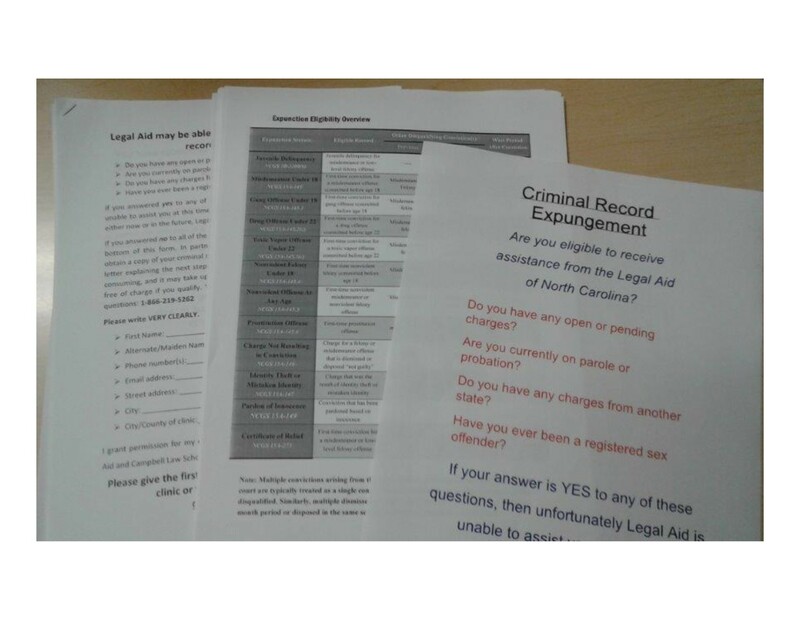 The New Hanover County Public Library hosts Criminal Record Expungement Clinics for the Legal Aid of North Carolina. During the clinic, a video will be shown explaining the eligibility requirements for receiving an expunction and the types of charges that can be expunged. At the end of the program, a question and answer period will allow anyone to ask general questions about the procedure. Please keep in mind that this is an information session and an attorney will NOT be present in the room. Registration is required. Click Here to register for the clinic.